2 2. 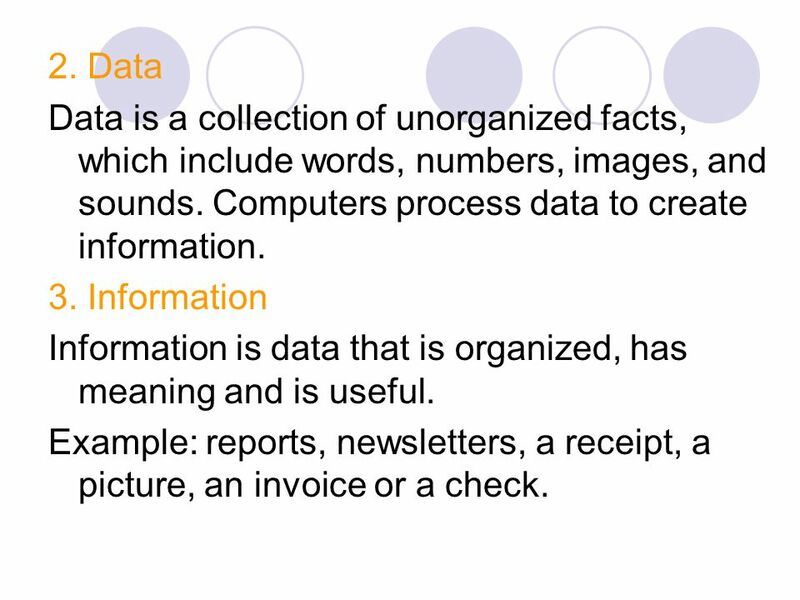 Data Data is a collection of unorganized facts, which include words, numbers, images, and sounds. Computers process data to create information. 3. Information Information is data that is organized, has meaning and is useful. Example: reports, newsletters, a receipt, a picture, an invoice or a check. 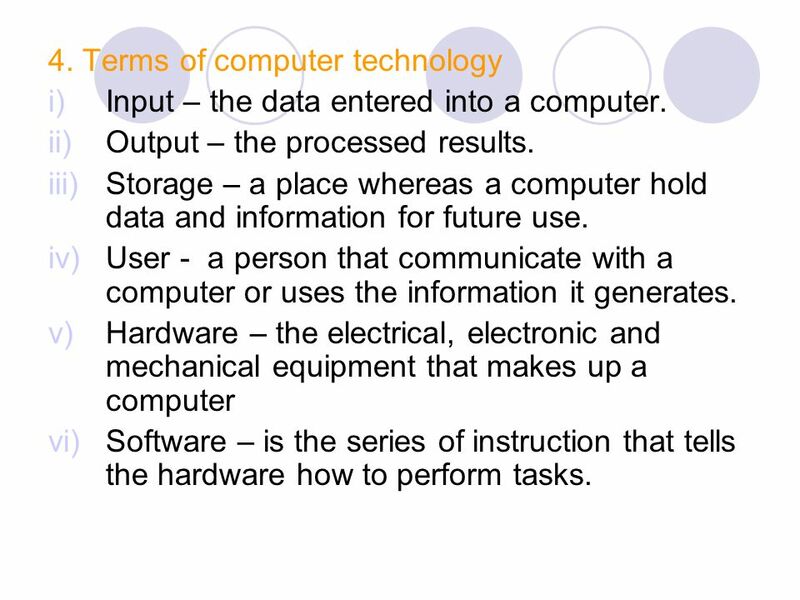 Input – the data entered into a computer. Output – the processed results. Storage – a place whereas a computer hold data and information for future use. User - a person that communicate with a computer or uses the information it generates. 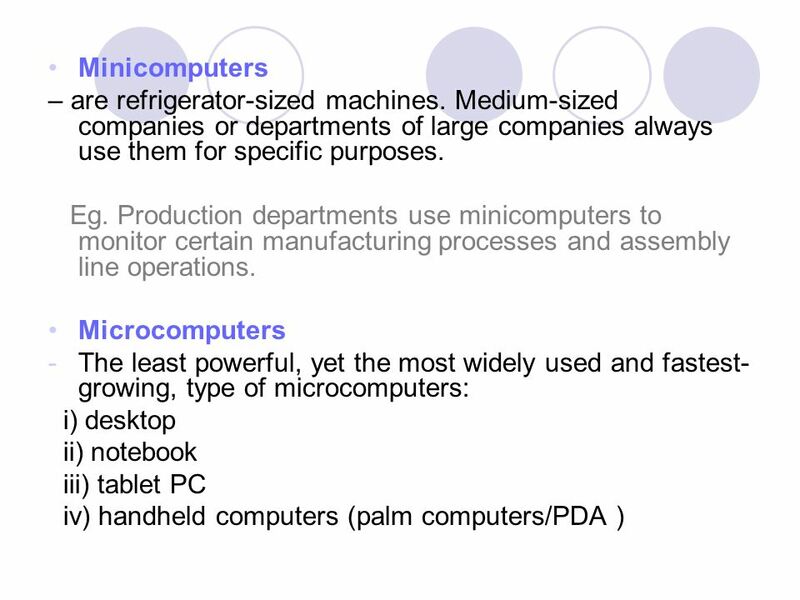 Hardware – the electrical, electronic and mechanical equipment that makes up a computer Software – is the series of instruction that tells the hardware how to perform tasks. Apple I of 1976 , from Smithsonian NMAH 4. 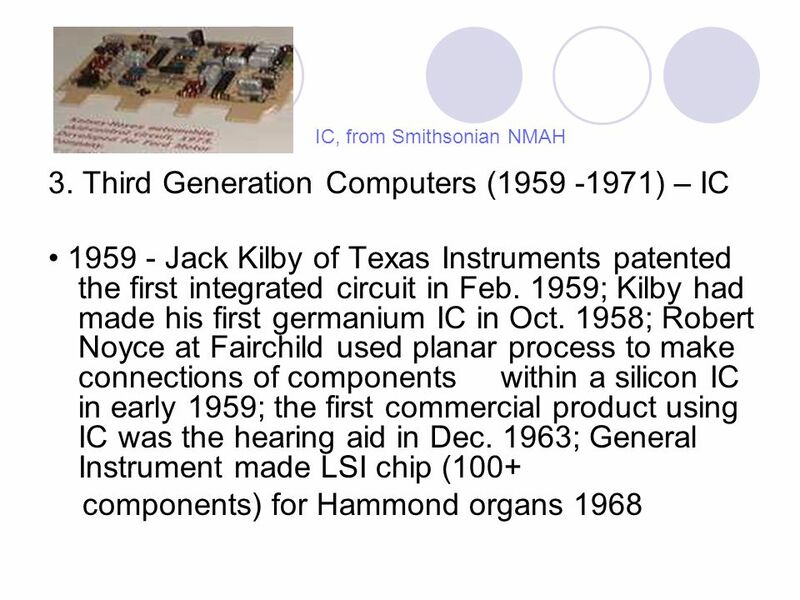 Fourth Generation (1971-Present) – microprocessor • Gilbert Hyatt at Micro Computer Co. patented the microprocessor; Ted Hoff at Intel in February introduced the 4-bit 4004, a VSLI of 2300 components, for the Japanese company Busicom to create a single chip for a calculator; IBM introduced the first 8-inch "memory disk", as it was called then, or the "floppy disk" later; Hoffmann-La Roche patented the passive LCD display for calculators and watches; in November Intel announced the first microcomputer, the MCS-4; Nolan Bushnell designed the first commercial arcade video game "Computer Space“ 5. 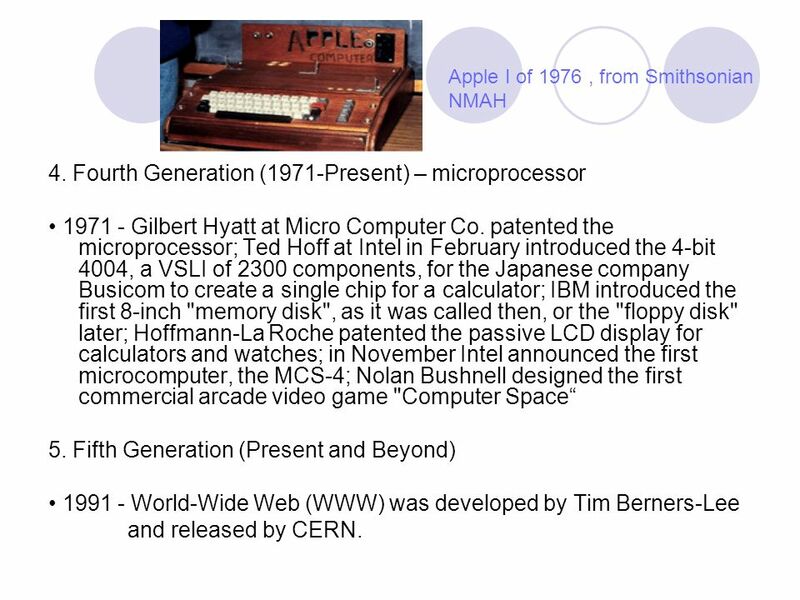 Fifth Generation (Present and Beyond) • World-Wide Web (WWW) was developed by Tim Berners-Lee and released by CERN. - the most powerful type of computer. These machines are special high capacity computers used by very large organizations. Eg. NASA uses supercomputers to track and control space explorations. Mainframe computers – need specially wired, air conditioned rooms. Not powerfully as supercomputers. 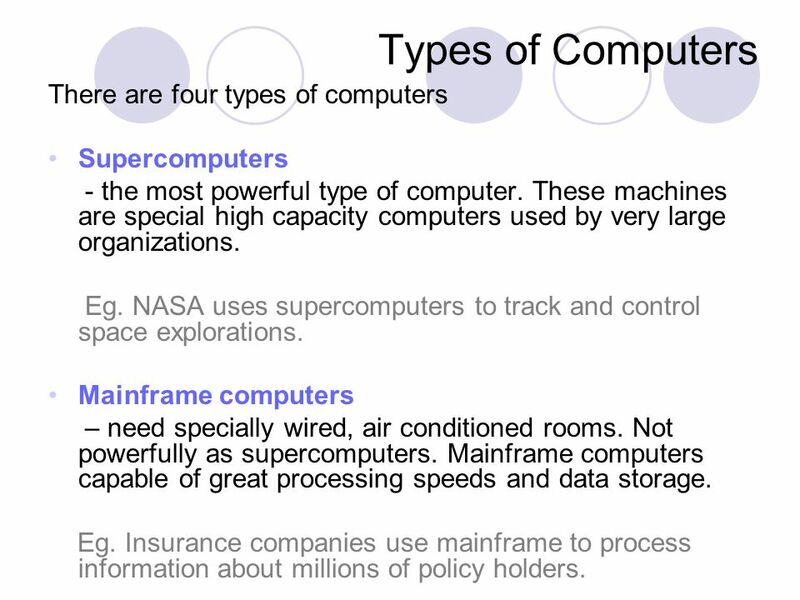 Mainframe computers capable of great processing speeds and data storage. Eg. Insurance companies use mainframe to process information about millions of policy holders. 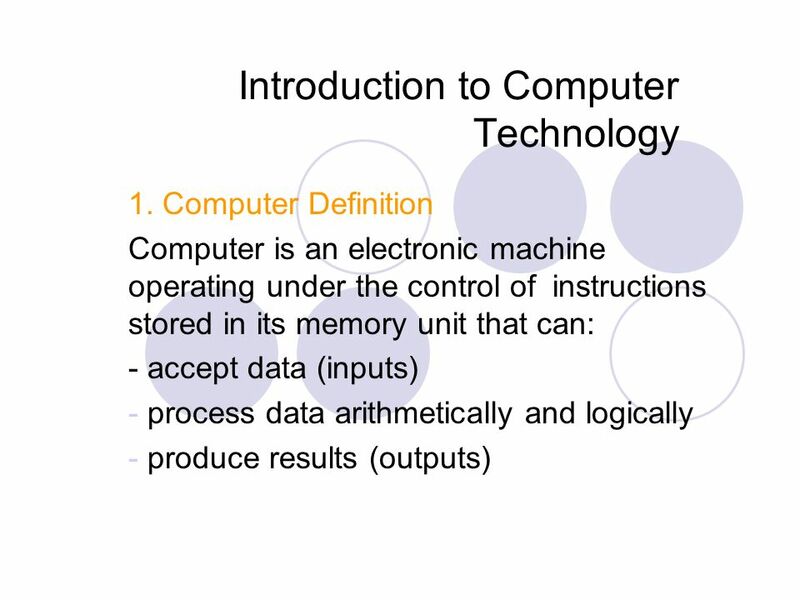 Download ppt "Introduction to Computer Technology"
B ASIC C ONCEPTS O F C OMPUTERS Bajaj Coaching Center, Rohtak For more such slides visit bcc2000.com. 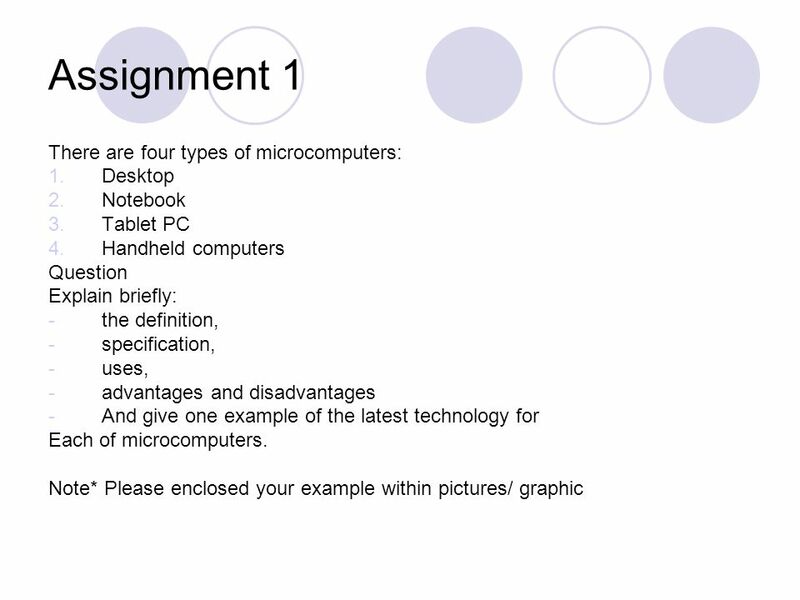 BASIC CONCEPTS OF COMPUTERS P REPARED B Y : B AJAJ C OACHING C ENTER R OHTAK BCC COM. CHAPTER - ONE Computer History Development of the PC. Introduction to Computers 2010 Class: ________________ Name: ________________. © 2009 Prentice-Hall, Inc Technology in Action Technology in Focus: The History of the PC The History of the PC. Introduction to Computers CSC 1401: Introduction to Programming with Java Lecture 1 Wanda M. Kunkle. Leticia Pacheco Information, Technology, The Internet, and You Chapter 1 Information, Technology, The Internet, and You Chapter 1. 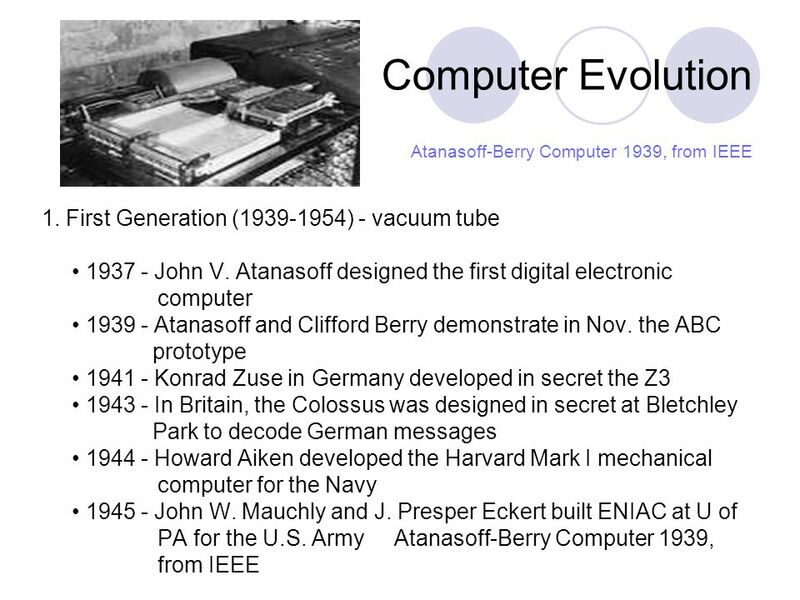 History of Computers. Who invented the computer? This question without a simple answer. The real answer is that many inventors contributed to the history. The Evolution of Computers By: Daniel O’Rourke. 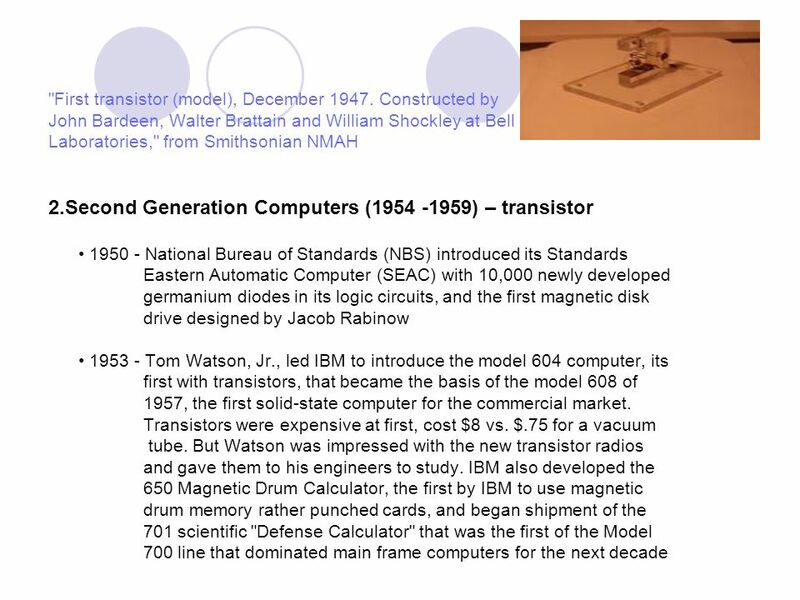 First Generation  The Vacuum Tube Age.